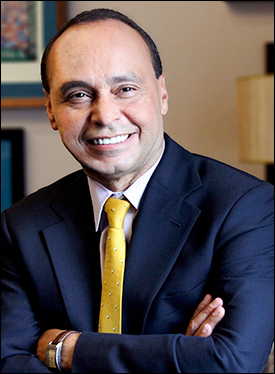 Nov. 29, 2017 — Two years ago, US Rep. Luis Gutierrez (D-Chicago) announced that he would not seek re-election, only to eventually turn around and file for another term. On Monday, Gutierrez filed paperwork to secure a ballot spot, according to a Chicago Tribune report, but yesterday reversed course and announced for the second time that he would retire. “I’m going to leave Congress at the end of my term in 2019,” he said, “but I’m not retiring.” Once this Congress adjourns, he will have completed 13 full terms in the House. This could be an example of Chicago machine politics at its best, however. With Gutierrez announcing that he won’t run just a week before the Dec. 4 candidate filing deadline after giving every indication he would seek re-election, it’s possible he could be setting up a designated successor. Already, Cook County Commissioner Jesus “Chuy” Garcia (D) is reportedly circulating petitions to gather signatures for congressional race qualification. We can expect a great deal of political scrambling in the next day or two, since prospective candidates have little time to decide about their individual run for Congress, and then build and command enough of a political organization to meet the ballot qualification requirements. Illinois’ 4th District is heavily Democratic (Clinton 82.1 percent; Obama ’12: 80.9 percent), so all of the political action will be settled in the March 20th party primary. The seat is 70.1 percent Hispanic, and the state’s only Hispanic majority district. Aug. 24, 2017 — Early last week, the three-judge federal panel considering the Texas redistricting lawsuit issued a ruling, one that contained a rather major surprise. It was expected that Reps. Blake Farenthold (R-Corpus Christi) and Lloyd Doggett’s (D-Austin) districts would certainly be ordered re-drawn for racial gerrymandering reasons, but it was assumed that Rep. Will Hurd’s (R-San Antonio) 23rd District would also be in the same predicament. In a ruling that certainly caught the Democratic plaintiffs off guard, the court allowed the current 23rd to stand while striking down the other two. The panel also left north Texas in tact, another region the Democrats wanted re-configured. Now with some certainty that the district will remain intact – though it could tangentially change as a result of re-crafting Doggett’s nearby 35th District – candidates already are starting to make their moves regarding challenging vulnerable two-term incumbent Hurd. Congressman Hurd was first elected to represent his sprawling central-west Texas district, a seat that stretches more than 550 miles from San Antonio to El Paso, in 2014 when he upset then-Rep. Pete Gallego (D-Alpine), 50-48 percent, yielding a margin of just over 2,400 votes. This past November, Rep. Hurd again beat Gallego, this time 48-47 percent, a spread of just over 3,000 votes. Knowing that the turnout would literally double in the presidential year from the previous mid-term, many observers expected Gallego to re-claim the seat and were again surprised when the re-match evolved into a rerun. July 18, 2017 — Much has been made about a new president’s party failing in the midterm directly after his initial national election, but the statistics aren’t quite what they seem. In the House, the average loss for the new president’s party is 26 seats in first midterm during the modern political era, in addition to dropping two Senate seats. But these numbers are misleading. Many media stories portray the Democrats on the brink of wresting the House majority away from Republicans, and one factor supporting such a claim is the first midterm historical trend. The stories underscore that the Democrats need a net gain of 24 seats to depose the Republicans, two seats less than the average “out party” gain in similar elections. The research stops short, however, and omits a very key point. Since President Harry S. Truman assumed office in 1945 and stood for election in his own right in 1948, 11 presidents, inclusive, have seen his party lose House seats in first midterm election. President Gerald Ford, because he was never elected to the office, is not included for purposes of this statistical exercise. 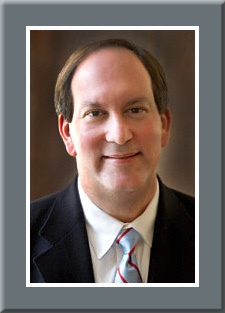 Oct. 20, 2015 — Central Florida House Republicans are getting nervous. The new redistricting plan, which the state Supreme Court is likely to soon adopt, is not kind to the middle-state GOP incumbents. In preparation, press rumors are floating that several members will switch districts in order for each to have a winnable place to run next year. Under the lower court’s proposed map, Rep. Dan Webster (R-FL-10) is the odd man out. His current Orlando-anchored district goes from a 46 percent Obama district to one where the president scored 61 percent. Therefore, the new 10th District becomes unwinnable for Webster even by his own admission. Ironically, Rep. Alan Grayson’s (D) 9th District, now a 62 percent Obama district becomes even more Republican than the new 10th. The new southeastern Orlando suburban 9th would carry a 56 percent Obama rating, but even this Republican improvement would not yield a GOP victory particularly in a presidential election year. The 9th will be an open seat because Rep. Grayson is running for the Senate. Rep. John Mica’s (R) 7th District is currently a 47 percent Obama district that would move to 49 percent Obama because the city of Sanford is annexed, which makes it a virtual tie at the presidential level (Mitt Romney also scored 49 percent). The open 6th District, northeast of the 7th that hugs the Atlantic coast from Daytona through Volusia County, is the seat Rep. Ron DeSantis (R) is vacating to run for Senate. This district gets more Democratic, too, but should remain in Republican hands. Originally, the 6th gave 41 percent of its votes to Obama; now, it would be 46 percent.